Fig. 12. Flowcharting symbols. The programmer uses these symbols to draw a schematic diagram of the tasks to be done to accomplish an end task. 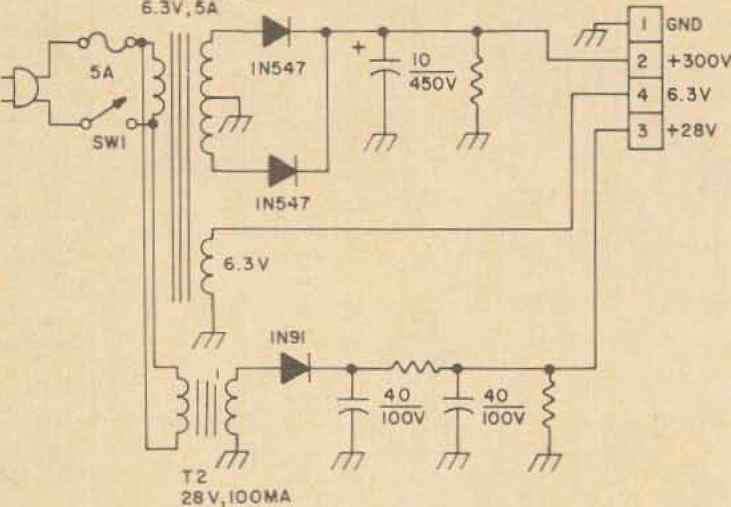 This "schematic" is then used as his reference to complete the programming. called a subroutine because it performs a complete function within itself. The subroutine shown scans the input circuits again and again to see if a data word has been entered from the TTY. The figure is completely self-explanatory. Figure 14 is a block diagram of the completed computer. You will use this block diagram when you program the computer to keep track of the'data floating around in the machine. The machine in Fig. 14 uses an rom, but keep in mind that you may use core. If you use core, it will connect in place of the rom. Notice how the accumulator register is shown. The accumulator has 8-outputs that parallel feed the instruction address counter. This is to enable the "branch to" address to load from the accumulator during the third operation cycle. Also note the inputs that feed the accumulator and accessible memory input selectors. Don't forget to send commands from the control circuits to the appropriate selectors. To find out how the machine works as a complete unit, just refer to Fig. 13 and follow along in Fig. 14. The explanation in Fig. 13 should suffice as an explanation of the computer's operation. Wish there would be no construction problems. Bui for any project of this size, you will have some developmental problems.